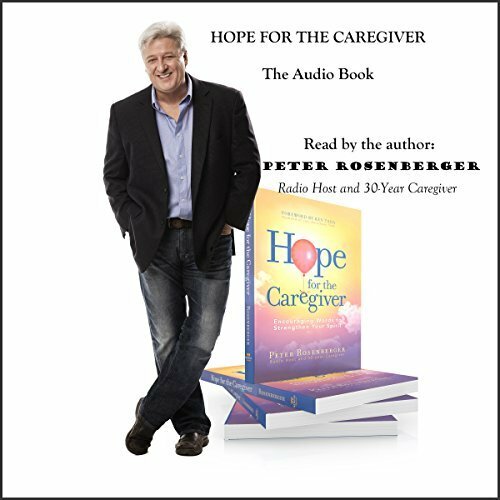 Hope for the Caregiver is the book by Peter Rosenberger that is strengthening thousands and thousands of caregivers. Currently in a 3rd printing, the book is now available in this exclusive ENHANCED audio version read by the author. As he reads it, Peter also deviates in often hilarious comedic bits, weaves in some music that he and Gracie recorded, all kind of other bonus and super-duper exclusive hidden treasures! Take this audio book with you EVERYWHERE. Grab a cup of coffee and listen to what will sound like a long-time friend share hard won wisdom gleaned from a lifetime of caregiving.